A photographic journey around the Kingdom of Fife and its neighbouring districts of Kinross and Clackmannan that aims to capture their differing characters and illustrate the principal landmarks and places of interest. 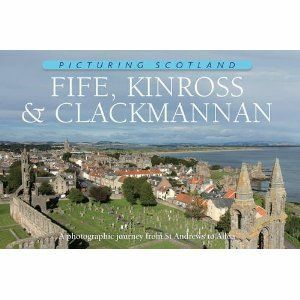 Beginning in historic St Andrews, home of Scotland's largest cathedral and oldest university, the book takes a roughly circular, clockwise tour that navigates the East Neuk and follows Fife's southern coast via the mighty Forth Bridges and Dunfermline. Thence to Clackmannanshire with its backdrop of the Ochil Hills, returning through Kinross-shire to the central and northerly parts of Fife. Illustrated with over 100 colour photographs, most of which have been taken especially for this purpose.